Roomali means ‘handkerchief’ in hindi and it’s no wonder these roti’s were given this name! So thin, so soft and soooo easy to make! It’s a ‘win win’! You can get the recipe here. This looks super yummy!! Do you have a recipe for the bread? And what curry is it!? It looks so good. Thank you! I’m putting up the recipe later today….really hope you like it! It’s sooooo soft! The curry is also delish and very healthy. 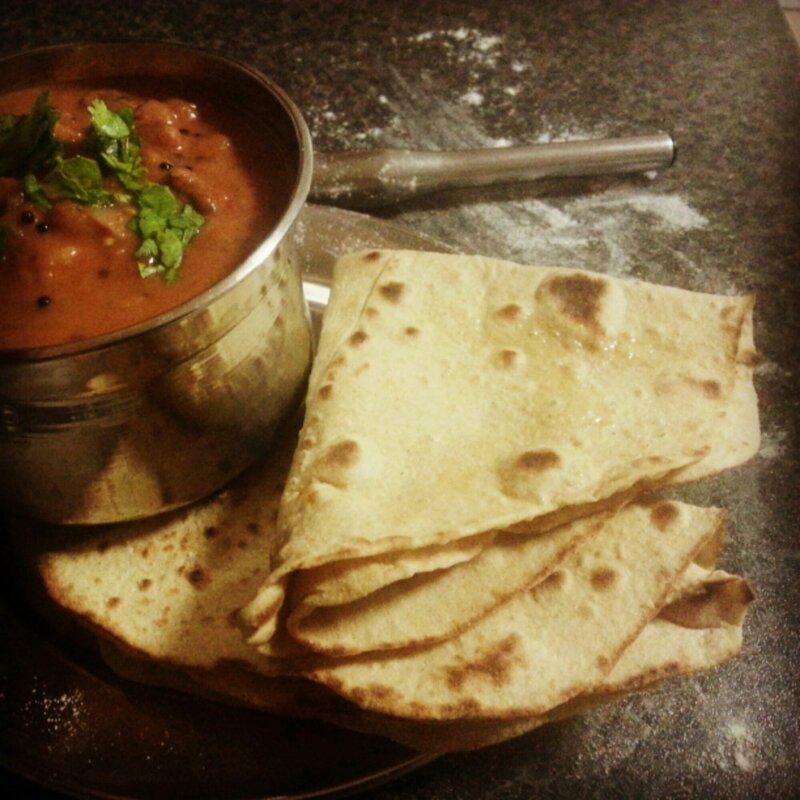 We call it ‘Rajma’ …it’s normally made from kidney beans. ..but I tweaked the recipe and used black eyed beans.